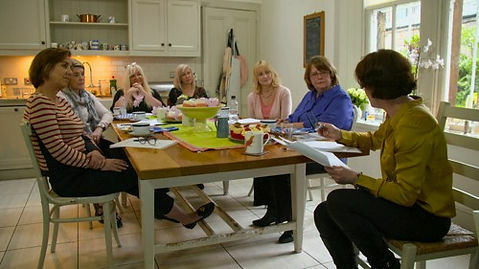 Home > Health & Wellbeing > Managing menopause in the workplace. Menopause in the workplace – this topic unbelievably remains, even in 2018, one of the most taboo subjects to be addressed within many areas of work. Managers and HR departments remaining reluctant and on occasion resistant to even acknowledge it as a natural transition in a woman’s life that can, for many, have a huge impact. Some women sail through this transitional period of their lives without batting an eyelid, but for some the multiple symptoms they suffer from can be incredibly debilitating affecting their overall health and well being, relationships and their performance at work. It is this vast array of different experiences which makes the menopause such a complex subject to address and as such bizarrely as an issue can get put to one side. Back in 2015 Dame Sally Davies (Chief Medical Officer) stated : ‘The menopause is a natural part of life, but it can feel like a great taboo. It is inexcusable that women who are experiencing menopausal symptoms should feel unable to discuss how they are feeling at work. I want to encourage managers to ensure working women feel as comfortable discussing menopausal symptoms as they would any other issues affecting them in the workplace. This will help to ensure that the talent and potential of all women can be realised to the full” (Click here to see the full report). Even with statements like this actively encouraging management teams there remains a lot of work to do within this area. One of the problems seems to be that organisations large or small are at a loss as to who to turn to for help. there are organisations or individuals available to help who can tailor-make packages to suit your requirements. So why should you as an organisation be addressing this topic…? • Older workers bring a range of skills and experience to the work place and as such, should be valued. • Often more experienced staff will show better judgement and knowledge so looking after them makes good business sense. • There is a proportion of the population who start experiencing perimenopausal symptoms prematurely in their thirties and forties who still have long careers ahead of them. hormonal changes whilst in the workplace. • 47% of the UK workforce is women of which 26% are currently over the age of 50, this makes more than 3.5 million women over the age of 50 currently working in Britain. • Women can experience difficulties coping with what was a previously manageable workload due to a multitude of menopausal symptoms. • Poor memory, low mood, lack of confidence, anxiety, not to mention the embarrassment of having hot flushes and sweats are all very common symptoms so it is understandable how some women in the end don’t cope. • Women can experience difficulty concentrating which then results in poor productivity. • If women do suffer from significant menopause symptoms it can require time off work or in the worst cases taking early retirement. • Workplace culture can make symptoms worse. • Majority of women may be embarrassed to admit having symptoms and don’t want to ask for special treatment from employers (male dominated organisations particularly) – fear of management targeting them or being ridiculed by co-workers, resulting in days off and poor productivity. • Education for line managers, management and co-workers within the workplace is required to reduce the stigma attached to the menopause. • Many symptoms can be helped through receiving basic essential information. • If you have an older female workforce, it is in your best interests to think about specifically including menopause in your people policies and to consider menopause as a possible OH issue. • Economically it is a no brainer to retain your valuable, experienced workforce rather than having to train and bring in new staff. Look after you staff! • Acknowledging the menopause as a long term health condition. Economically it costs far less to implement good practical measures which help women cope with their symptoms within the workplace, rather than losing those women and having to replace valuable staff. Retraining new staff as everyone knows is time-consuming and costly. If this is an issue you would like to address and require help with, please don’t hesitate to get in touch. I would be delighted to come and provide information and support workshops on all aspects of the menopause and if you require, for example, putting menopause policies in place then I can recommend and put you in touch with organisations whom I trust to give equally accurate, evidence based information and advice.